As I read through the following list, I began to expand on each. Then, with a little sarcastic guidance from my better-half, I realized I had come up with a list of transitive and intransitive verbs instead, not adjectives. Sorry, Ms. Cavanaugh, I never really did grasp that part of grammar. All I know is that my new company would sound much more interesting through verbs than adjectives. Nevertheless, I began to expand on each, to really figure out why or how these words, whatever-the-hell you Lit-majors call’em, were important to not just my company, but to the entire field of landscape design. If you find yourself in conversation with someone involved in some capacity in the landscaping industry that uses these words, you know you are in good hands. 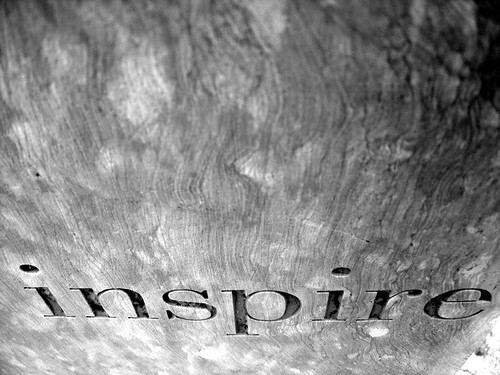 Inspire – This one is first because it appears in our slogan, “Inspiring Solutions For Every Environment.” This may seem obvious, but if you’re about to drop tens of thousands of dollars on a renovation project for your property, you better be inspired, at least to some extent, by the design. Anyone can go to Home Depot and buy a bunch of plants and dig a few holes. But a truly successful design is one that inspires you so much, that you start to tingle when you begin to visualize the finished product. Solve – Regardless of the size, shape, location, slope, or projected use of a particular site, there is always some issue that needs to be solved. Band-aids are for boo-boos, not for landscape designers. Our duty is to find a solution for the uncontrollable drainage problem, the exaggerated zoning setback requirement, the constant shade produced by the neighbors 90′ spruce tree, or the unsightly view of the junk yard across the street. We figure out how to put your 10 acres of ‘wanted elements’ into your 5 acre yard. Now obviously, it can be easier said than done at times, and you might not always be able to actually fit that amusement park into your postage stamp sized plot. But it is also our duty to help you prioritize and to logically arrange and phase these additions so you aren’t un-doing in Phase 2 what you spent thousands on in Phase 1. Communicate – When it comes to your standard design plan, we as designers tend to take our graphic language for granted. That is, we know how to read the plans and assume you, as homeowners, do too. An effective plan is one that is easily readable to someone that has zero plan-reading experience. Sometimes that means adding a splash of color, or an extra textual label here or there. Sometimes, it even means that a 3D model is needed to aid in understanding the vision of the designer. A good designer may also be able to whip up some quick sketches on a napkin to further explain the spatial relationship between the patio and retaining wall with the pool and outdoor kitchen. Therefore, a design that isn’t understood, will always stay on paper. Why would you spend any money on something that you have no idea what it will look like in the end? Educate – When we leave a site at the project’s completion, we certainly aren’t done there. We should be making periodic stops to check on all of the elements to make sure all is well. This is even beyond the homeowner’s requests to stop by and answer questions and address the little loose-ends that may have been overlooked for one reason or another. Throughout the design process, however, designers ought to be taking every opportunity to teach the homeowners about their investment, without insulting their intelligence, of course. From taking homeowners to the nursery and stone yard, to creating as-built and planting plans, to offering a tip sheet for easy care and maintenance to those do-it-yourselfers, a designer’s job is much easier if a little effort is spent educating those involved. 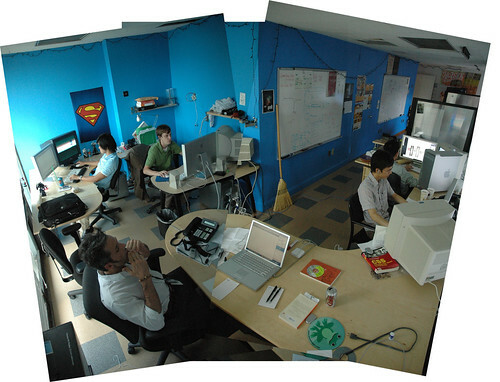 It also lends credibility to a designer’s knowledge as a professional. And simple explanations can aid in convincing a homeowner to do things the correct way, even though it may cost more, rather than taking the cheap way out. An old saying comes to mind: “Catch a man a fish, and he’ll eat for a day. Teach a man to fish, and he’ll eat for a lifetime.” I just love offering people the knowledge so they feel like they are a part of their landscape. This blog was started for similar reasons. photo credits: lwtclearningcommons, lensfodder, Mark Brannan,boboroshi. Share the post "Adjectives, or whatever"